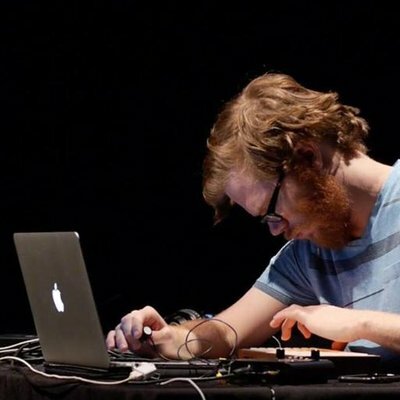 CABOTO is an interactive system for live performance and composition. A graphic score sketched on paper is read by a computer vision system. The graphic elements are scanned following a symbolic-raw hybrid approach, that is, they are recognised and classified according to their shapes but also scanned as waveforms and optical signals. All this information is mapped into the synthesis engine, which implements different kind of synthesis techniques for different shapes. In CABOTO the score is viewed as a cartographic map explored by some navigators. These navigators traverse the score in a semi-autonomous way, scanning the graphic elements found along their paths. The system tries to challenge the boundaries between the concepts of composition, score, performance, instrument, since the musical result will depend both on the composed score and the way the navigators will traverse it during the live performance.